Andrej Babiš during his first full day in office with Visegrad Group leaders on 14 December 2017 at the European Council. Czech Prime Minister Andrej Babiš warned that the debate on the European asylum system reform might drag on until mid-2018. He told reporters after meeting with members of the European Commission, including the president Jean-Claude Juncker, on January 29 that the talks produced no concrete solution to the migrant quota problem. 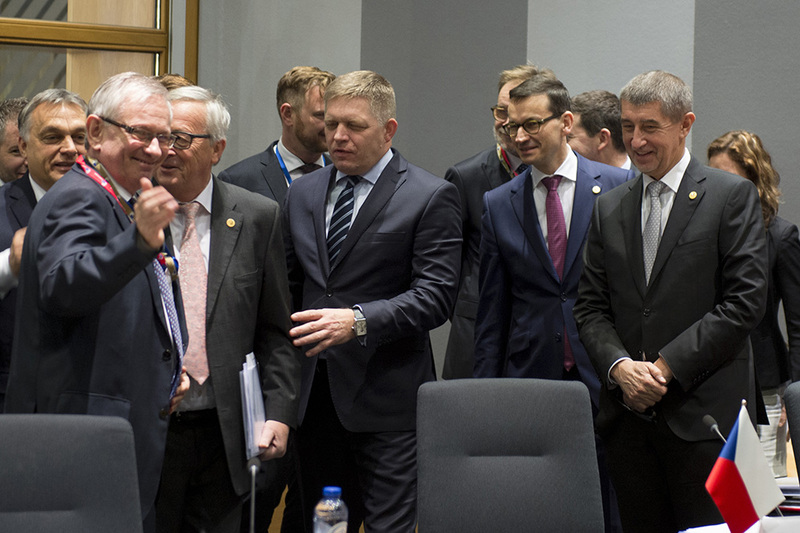 As reported by The Prague Daily Monitor, Babiš once again presented Juncker with his arguments against the redistribution of asylum seekers. He pointed to a project of the Visegrad Four (V4) group (the Czech Republic, Hungary, Poland and Slovakia) that has contributed to the EU fund in support of solving migration in Africa. “We exchanged opinions and I assess it positively,” he said about his talks with Juncker.